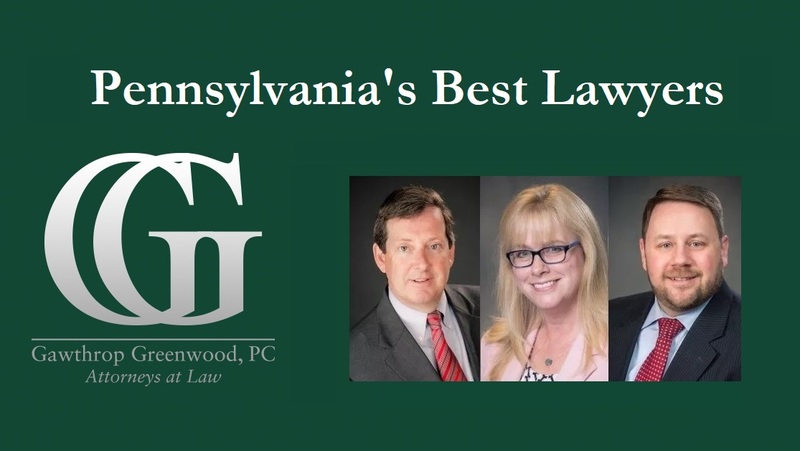 Gawthrop Greenwood, PC Attorneys Recognized as Pennsylvania’s Best Lawyers – Gawthrop Greenwood, PC. Lawyers named to The Best Lawyers in America are recognized by their peers in the legal industry for their professional excellence in 145 practice areas. The process begins when attorneys are nominated for consideration. They are divided by geographic region and practice areas, and are evaluated by their peers on the basis of professional expertise. Those who receive high peer reviews undergo an authentication process to make sure they are currently practicing and in good standing. Only then can these top attorneys be recognized by Best Lawyers.